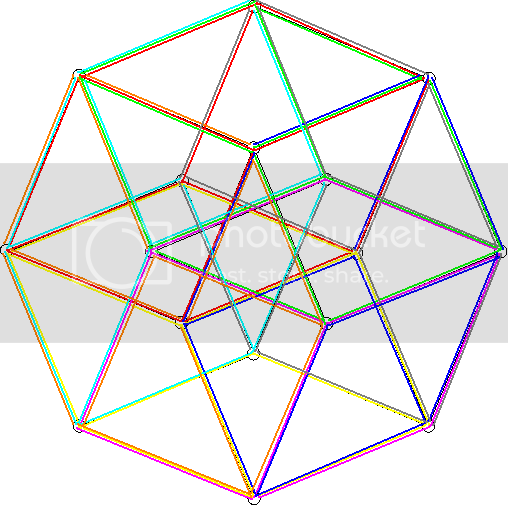 We construct higher dimensional hypercubes from lower dimensional ones. We start with a 0-dimensional hypercube: a point. Start with a point A and draw a line to a different point B. Let’s say the distance between A and B is d. This is a 1-dimensional hypercube: a line. 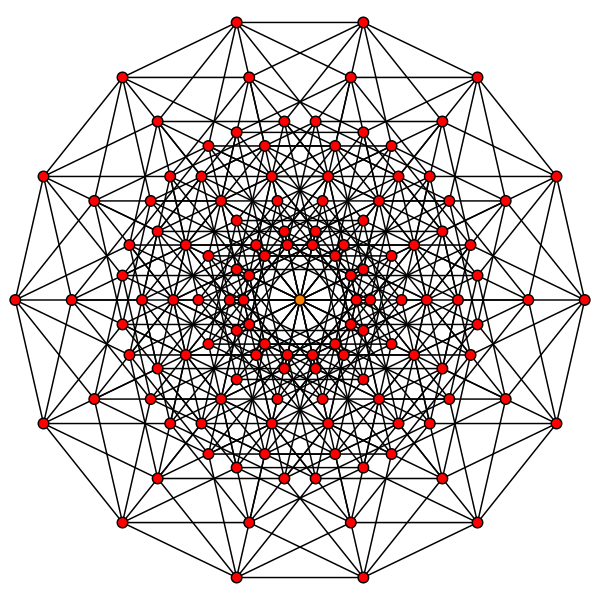 Now draw a line of length d, orthogonal to AB, from B to a point C, and a line of length d, orthogonal to AB, from A to a point D. This is a 2-dimensional hypercube: a square ABCD. Now draw lines of length d respectively from each corner of the square ABCD, orthogonal to both AB and BC. Call the terminal points E,F,G,H. This is a 3-dimensional hypercube: a cube ABCDEFGH. This entry was posted on October 24, 2011 at 4:54 pm and is filed under Geometry. You can follow any responses to this entry through the RSS 2.0 feed. You can leave a response, or trackback from your own site.